Minister of Public Infrastructure David Patterson has promised legislation this year to facilitate Government pursuing public-private partnerships to help meet an ambitious goal of 500 miles of roadway by 2025. Speaking at the just concluded Guyana International Petroleum Exhibition Summit (GIPEX) at the Marriott Hotel, Patterson told industry experts in the oil and gas sector, that the plan has been approved by Cabinet and will essentially link Guyana’s coast with the hinterland region. Patterson told the conference that he is extremely excited by the revenues that will emerge from the oil and gas sector. He quickly pivoted to Government not being overly reliant on oil revenues for infrastructural needs. Early estimates indicate that the ExxonMobil project which starts in March 2020, is expected to realize about $40 billion annually from oil revenues over the first 3 years. “We are extremely excited, because it [oil] brings funding,” Patterson stated. Patterson encouraged companies to partner with the Government, assuring that enabling legislation will be enacted to protect investors. “We are about to place legislation before Parliament to put in place the regulations and all the requirements so that we can have companies such as yourself to partner with us in infrastructure development,” Patterson assured. One of the critical road projects that eluded successive Guyanese governments is the Linden/Lethem road, which is a financially viable link between the Caribbean and South America. Last year Guyana and Brazil signed a complementary agreement to the Memorandum of Understanding creating a Guyana-Brazil Joint Commission to develop infrastructure projects, focused on fulfilling that obligation to build a road between Lethem and Linden. Both countries will be working closely with the People’s Republic of China to access the $50B China Select Fund to complete the road. 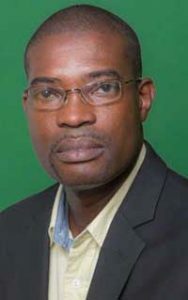 Patterson explained to the conference that most of Guyana’s natural resources are located in the hinterland, yet there is poor connectivity with the coast. Patterson further mentioned that as part of enhancing the road network, the Government will also install about five major bridges and upgrade the Lethem airport to a regional status to service South American partners and neighbours. “We will also be looking at various hubs and airstrips to get to the goal of linking our hinterland to the coast. We will also be looking at our legislation to ensure that we are well equipped in the aviation and maritime sector,” Patterson stated. He added that Guyana has challenges which relate mostly to the need to strengthen the skill set of the people in the workforce.